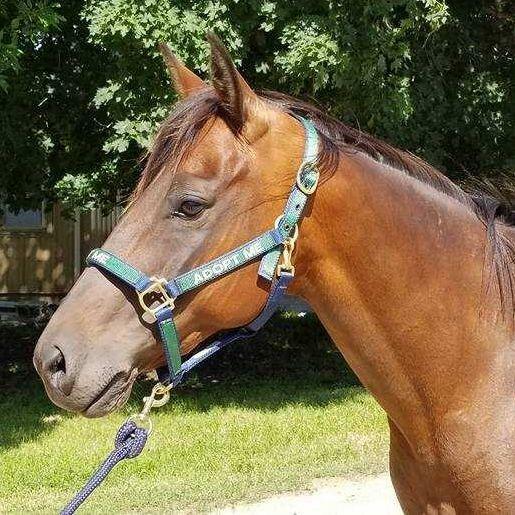 DeeDee is a smart, kind, easy going mare who is quickly learning groundwork and will be started under saddle this summer. She is currently in rehab due to a extensor tendon injury. Winter 2018, 16 year old DeeDee's life changed completely. 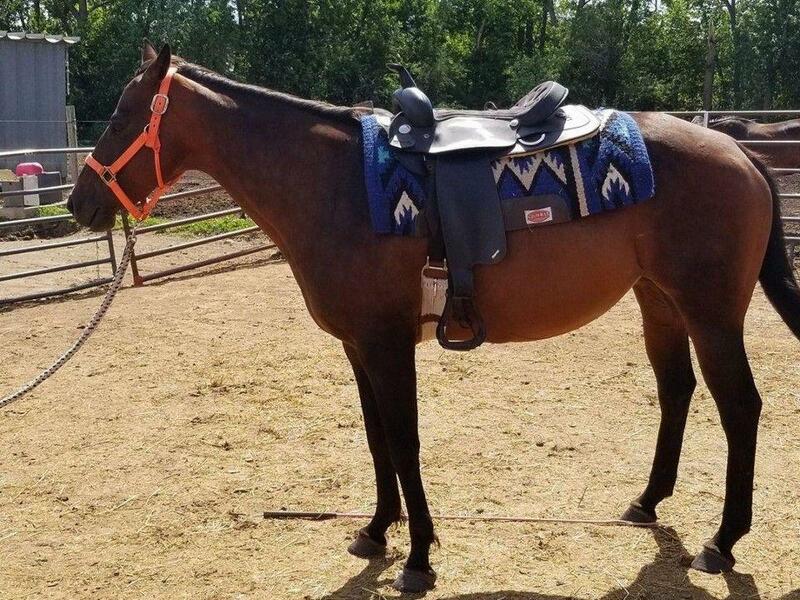 Born on a small farm in northern Iowa, her mother died when she was born, and she was raised with the same few horses and two people her entire life. Her dad, Dudley, and half-sister Raven, only a year older, were all that remained of her family 16 years later when she found herself in risk this January after the death of one of her people and a serious injury of her other. Her family reached out to us, and she came to live at GSH. 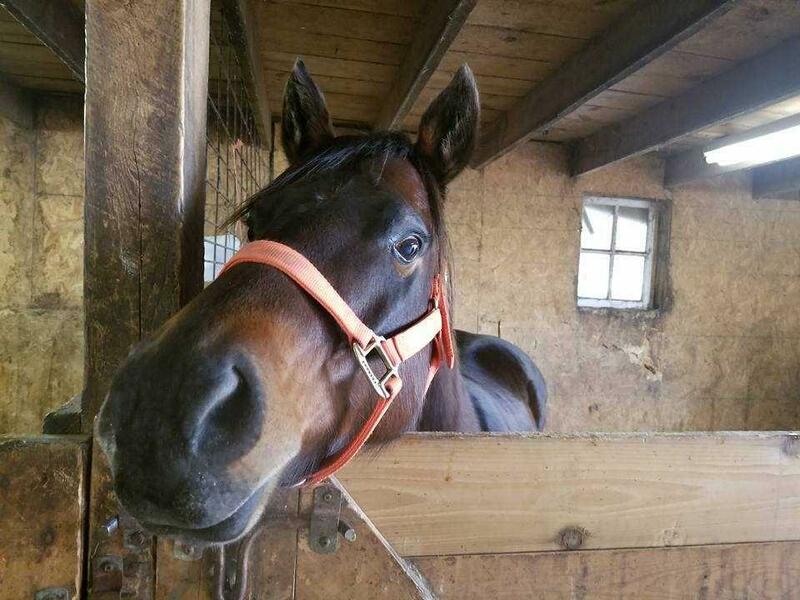 Unfortunately, while she likely had handling as a foal, by the time she found us she was pretty much unhandled. She liked people, but knew nothing, and was closely bonded to her friends. Her entire life had changed - the people she knew were gone, her home was gone, and she was now being asked to learn to trust new people. Dudley struggled. DeeDee, however, excelled. 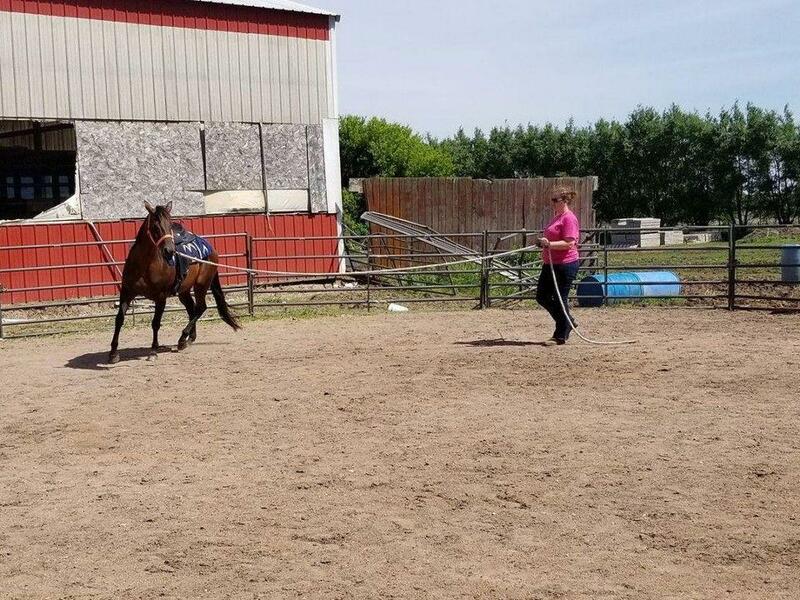 First to move out on her own and make new friends, first to learn to accept a halter and lead, first to allow a farrier to trim her feet, first to accept vaccines and deworming, first to accept fly spray ... and now first to accept a saddle and learn to lunge. 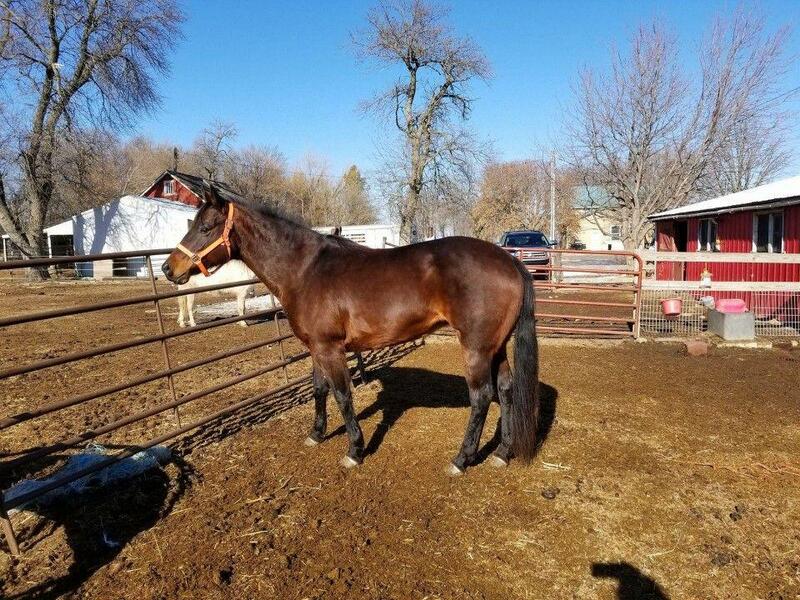 Dudley and Raven both have age and physical issues that make them permanent residents and not a focus for training, however DeeDee is excelling as a human horse. DeeDee is now ready to entertain adoption applications. 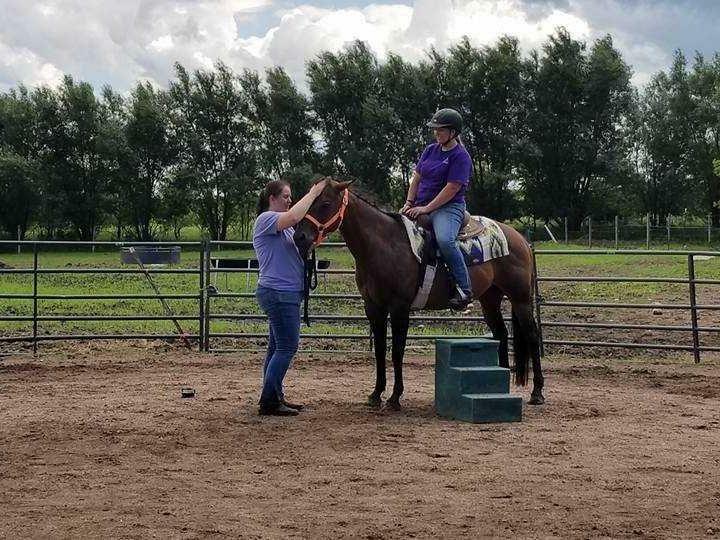 She's still learning, and still requires a very experienced person to teach her, however she's gentle and easy going, smart and enjoys attention. Check out her playlist of the first few steps of the @ForeverFoundation Plan 4 Progress training sessions.